^ 5.0 5.1 5.2 5.3 5.4 弗莱彻, 温斯顿. 广告. 江苏: 译林出版社. 2014. ISBN 978-7-5447-2969-7. 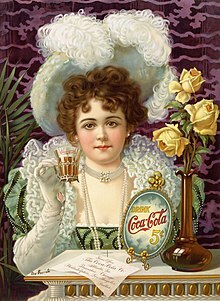 ^ Coca-Cola History - Invention of Coca-Cola. The Great Idea Finder. [2009-05-29] （英语）.